President Donald Trump gave a speech about pharmaceutical drug prices last month. During his presidential campaign and leading up to his inauguration, he accused pharmaceutical companies with “getting away with murder” for what they charge patients for prescriptions and promised to enact reforms to lower drug prices. After sixteen months in office, his speech last month consisted of few proposals as opposed to proposing meaningful legislation or guidelines that could have an immediate effect on prescription costs and actually led to pharmaceutical stocks rising. Trump took aim at Pharmacy Benefit Managers (PBMs) who he referred to as “middlemen” who implement “gag rules” that forbid pharmacists from telling patients they are spending more than they need to on a prescription (you can read our blog on the laws proposed to combat PBM gag rules here). He also touched on other popular proposals such as removing barriers to generic medications and biosimilars from entering the market and encouraging lower prices through competition, as well as granting Medicare Part D more flexibility to negotiate prices with manufacturers. Some new ideas did emerge from Trump’s speech: price transparency by encouraging pharmaceutical companies to include the list price of their drug in advertisements; and to somehow make foreign nations (many of which buy U.S.-made medications through direct negotiations between their governments and pharmaceutical companies) pay more. There is little evidence to support transparency in pricing will impact prescription prices; it follows a pattern of attempting to “shame” pharmaceutical companies, as the Food and Drug Administration (FDA) recently published names of companies that actively delay generic versions of their medications coming to market. There is even less evidence to suggest that any profit-maximizing pharmaceutical company would consider lowering prices for American patients if other nations are forced to pay more than they are now. Analysts believe that Trump’s proposals will have a negligible effect on drugmakers’ profits or patients’ high prescription costs. Investors appear to agree, as stocks for several pharmaceutical companies as well as Pharmacy Benefit Managers all rose the afternoon following Trump’s speech. 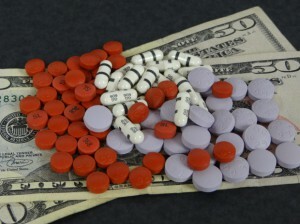 Despite claims that reforming healthcare in the U.S. would be “so easy,” “everyone will be taken care of,” and “no one will lose coverage” or “be worse off financially”, experts see the announced plans as an incomplete blueprint that does not address the underlying problems causing high prescription prices or out-of-pocket costs. There will be further developments regarding prescription prices and the future of healthcare in the United States, and we at NeedyMeds will try to keep up-to-date on the details. We at NeedyMeds prefer to remain apolitical—we work in a diverse office with people of varying backgrounds and views—but we believe in being informed and that those in need deserve care. It should be clear that NeedyMeds supports improved access to care as well as lower costs for medications and healthcare services for all. While medication costs continue to rank highly among American concerns, NeedyMeds has resources available for those struggling with prescription costs. Our website has databases of information, including Patient Assistance Programs (PAPs) that provide prescribed medications at low- or no-cost. The NeedyMeds Drug Discount Card also helps those without insurance (or those who choose not to use their insurance) by saving between 0-80% of their prescription costs, also available as a printable PDF or a smartphone app. NeedyMeds also has information on Coupons and Rebates that can help lower the cost of necessary medications. For more help finding information, call our toll-free helpline Monday-Friday 9am-5pm Eastern Time at 1-800-503-6897.